This summer, in a galaxy far far away (well, Hertfordshire), Standon Calling will transport festival-goers through time and space, to infinity ... and beyond. 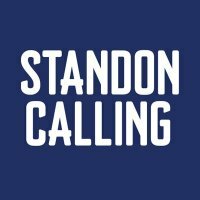 Over the last nine years, Standon has become one of the UK's most unique boutique festivals. Each year has a theme, this year, in honour of the 40th anniversary of the moon landing and the 400th anniversary of Galileo's telescope, the theme is "space". That means plenty of aliens and astronauts at the Saturday night fancy dress extravaganza. The space-themed shenanigans will be accompanied by a musical line-up that is out of this world (groan). Headlining the main stage is Ladytron on Friday, Friendly Fires on Saturday and Femi Kuti & the Positive Force on the Sunday. Meanwhile, highlights on the Apollo Stage include Hawkwind, steel city crooner Tony Christie, The Aliens (how apt) and Micachu and the Shapes. Galileo's Observatory is headlined by folksters Mumford and Sons, Sunra Arkestra and Ed Harcourt. Last year Standon showcased some of this year's hottest acts such as Florence & the Machine and Glasvegas, so expect the same razor-sharp predictions this time round. Standon has more of a carbon fairy-step than a carbon footprint, it's independent and donates to the Pheonix Futures charity - festival goers can sleep easy in their space pods. Mon 29th Jul 2019 Standon CallingStandon (Hertfordshire)More Info..